Olympic Lawn & Landscape Inc.
Our goal is to connect people with the best local experts. We scored landscapers on more than 25 variables across five categories, and analysed the results to give you a hand-picked list of the best landscapers in Kansas City, MO. A2D Landscape and Design has more than 10 years of experience creating residential landscape and hardscape masterpieces. They offer superior craftsmanship on all projects, from landscape edging to massive retaining walls. The company's work is backed by a service warranty. A2D Landscape and Design is a two-time winner of Angie’s List's “Super Service Award." Arbor Masters Tree Service is a Kansas City company made up of landscapers and arborists. The team has more than 50 years of combined experience, and specializes in landscaping, hardscaping, plant care, tree services, and landscape maintenance. Arbor Masters has franchise locations in Kansas City, Wichita, Oklahoma City, Tulsa, and Dallas-Fort Worth. Becks Lawn, Landscape, and Fence has provided commercial and residential landscaping services to clients in the Johnson, Jackson, Wyandotte and Douglass County area since 1989. Services include planting, seeding, decorative rock installation, gutter cleaning, and snow removal. Their mission is to provide complete lawn care with quality service, unmatched workmanship, and first-class customer service. Ben’s Lawn and Garden is a Blue Springs family-owned and operated business. In 1972, Ben's Lawn and Garden began with just a flower truck, but has since evolved into a full-scale landscaping operation. The company sells flowers, seasonal gardening items, shrubs, trees, and much more. Cuts Up Lawncare is a Kansas City landscaping company that provides a full spectrum of lawn care and landscaping services. Typical jobs include planting, seeding, fertilizing, pruning, decorative rock installation, bed edging, gutter cleaning, snow removal, spring and fall cleaning, and lawn mowing. Evolving Landscapes provides landscaping services to Lee’s Summit and the Kansas City metro area. They offer landscaping design, maintenance, and installation services for residential and commercial properties. Free estimates for their services are available as well. The owner earned a Bachelor of Science Degree in Horticulture from Kansas-State University and has over 20 years of experience. Garden Gate Lawn & Landscape has provided landscaping design, year-round maintenance, and installation services for residential and commercial properties since 2000. The owner attended a Turf Management and Grounds Maintenance program and is certified in horticulture. They serve the Kansas City metro area. Good Earth Outdoor specializes in the design and building of landscaping, hardscaping, and customized water features. The company was founded in 2010 and serves the Kansas City metro area. Good Earth Outdoor strives to provide clients with a great experience by exceeding their expectations. Grassy Plains offers landscaping design, year-round maintenance, and installation services for residential and commercial properties in the Kansas City area. Typical jobs include planting, seeding, fertilizing, pruning, decorative rock installation, spring and fall cleaning, and lawn mowing. The company strives to provide quality service at competitive prices with old-fashioned hard work. Green Lawn is a full-service Kansas City lawn and landscape contractor serving the area since 1992. They give personalized service and take great pride in the appearance of clients' properties. Services include landscape design, irrigation, aeration, fencing, water feature installation, snow management, and holiday lighting. For more than 15 years, Greenleaf Garden Services has offered landscaping design, year-round maintenance, and installation services for residential and commercial properties. Typical projects include landscape and garden bed design and maintenance, drainage solutions, hardscape design and installation, tree and shrub pruning, and container plantings. They serve the Kansas City metro area. J & S Lawn and Irrigation sells, installs, and services quality irrigation systems, waterfalls, and pondless water features for residential, commercial, and industrial facilities in Kansas City. The company's staff are experts at troubleshooting and are capable of servicing and repairing any system. The company is licensed, insured, and bonded. KC Prime Exteriors Inc offers Kansas City landscaping design, year-round maintenance, and installation services for residential and commercial properties. Typical projects include outdoor living space renovations, stamped concrete, flagstone and brick patios, outdoor lighting, landscaping, covered patios, pizza ovens, walkways, and retaining walls. Keller’s Landscaping provides full-service landscaping services to both commercial and residential clients throughout the area. They specialize in building retaining walls, patios, driveways, water features, and outdoor living areas. The family-owned and operated business has served the greater Kansas City metro area and the Lake of the Ozarks for over 25 years. Since 1995, Landworks has designed and installed award-winning landscaping in the Kansas City metro area. The company specializes in landscape and irrigation design, installation, and maintenance. Capabilities include hardscaping for patios and decorative walkways, establishing outdoor living spaces, creative lighting, and fertilization programs. Lawn & Landscape Solutions is a Kansas City landscaping company that serves the entire metropolitan area. They offer landscape design, maintenance, and installation services for residential and commercial properties, mowing, landscape and security lighting, water feature installation, snow and ice management, and irrigation. The company is a five-time winner of Angie’s List's Super Service Award and offers free estimates. Lightning Landscape & Irrigation provides full-service landscape solutions for residential and commercial customers. They can help clients with a new landscape design or a complete renovation. Specialties include patios, hardscapes, and sprinkler systems. The company offers free estimates. Metamorphosis Landscape Design offers full-service solutions to landscaping design, maintenance, and renovation needs. The company designs custom landscapes, shops for materials on behalf of the client, creates customized outdoor spaces, cleans existing beds, and decorates with colorful plants. The owner of the company earned a degree in design from Columbia College while studying horticulture and landscape design at the University of Missouri. They serve the Kansas City metro area. Olympic Lawn and Landscape offers a comprehensive list of landscape services to all of their clients. This Kansas City landscape company specializes in edging and promises that their work will set any lawn apart by adding a finished look to every element. They serve the Kansas City metro area. Prestige One Landscaping is a premier landscaper in the Kansas City area. The company specializes in residential and commercial design, installation, and year-round maintenance. In business for more than 15 years, the company is a Certified Aquascape contractor with an A+ rating from the BBB. Rolling Meadows Landscape and Garden Center is based in Overland Park, Kansas. They are a full-service landscape and design center for residential clients. Their design team provides custom plans for plant varieties, outdoor living spaces, hardscapes, and water features. Design specialties include rain gardens and bio-retention swales. Rosehill Gardens has more than 100 years of experience providing landscaping design, year-round maintenance, and installation services for residential and commercial properties. Rosehill Gardens plants only locally grown products. The company provides a two-year guarantee for their services. They serve the Kansas City metro area. The Grounds Guys of Olathe offer complete residential and commercial landscaping services. 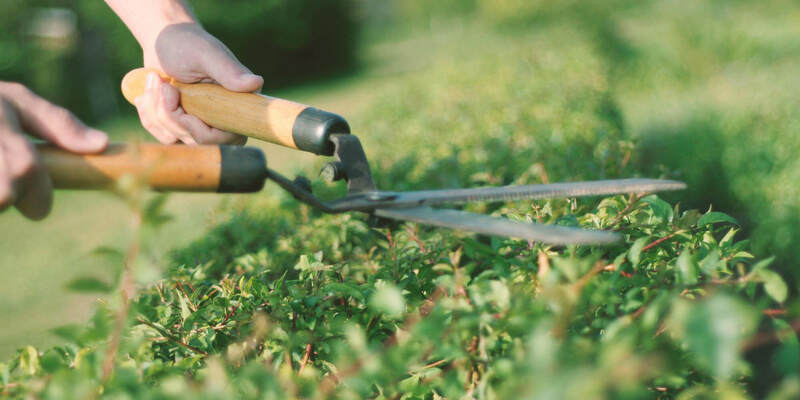 The Grounds Guys offers a range of services from minor maintenance to clean-up jobs including landscape design, hardscapes, pruning, mulching, fertilization, and pest control. Tree Trimming Plus Lawn and Landscaping provides design, maintenance, and renovation services for trees and lawns. Services include complete tree removal, stump removal, tree trimming, and planting. Lawn services include mowing, bagging, leaf removal, rock and stone features, and irrigation and drainage work. The company serves residents in the Kansas City metro area. For more than 10 years, Winkler’s Lawn Care & Landscape has been serving clients in and around the Kansas City area. They specialize in residential and commercial design, installation, and year-round maintenance. Satisfied customers rave about the company's friendly, professional, and helpful service.